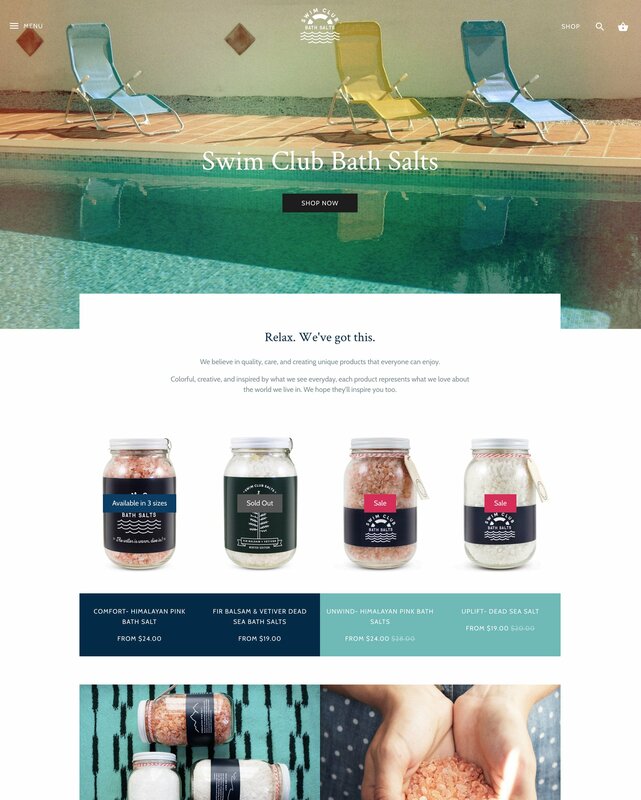 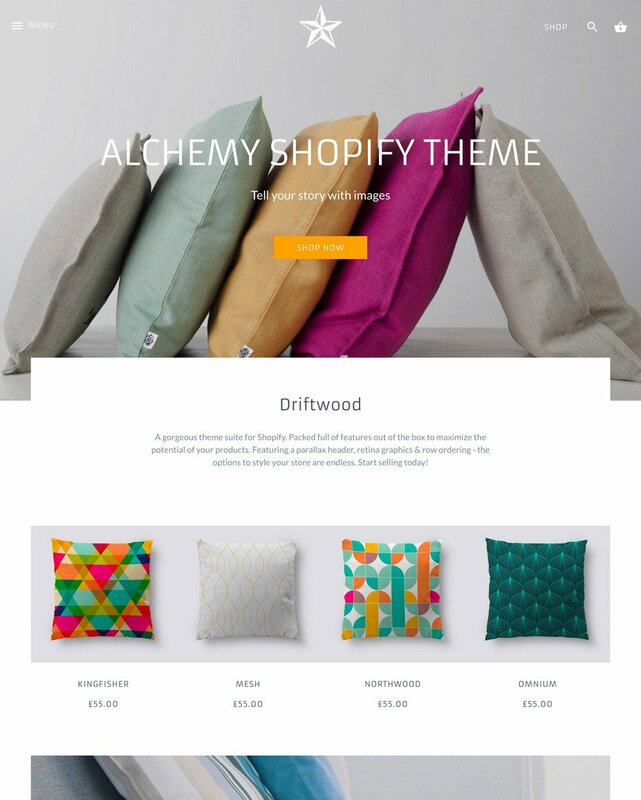 A gorgeous theme suite for Shopify. 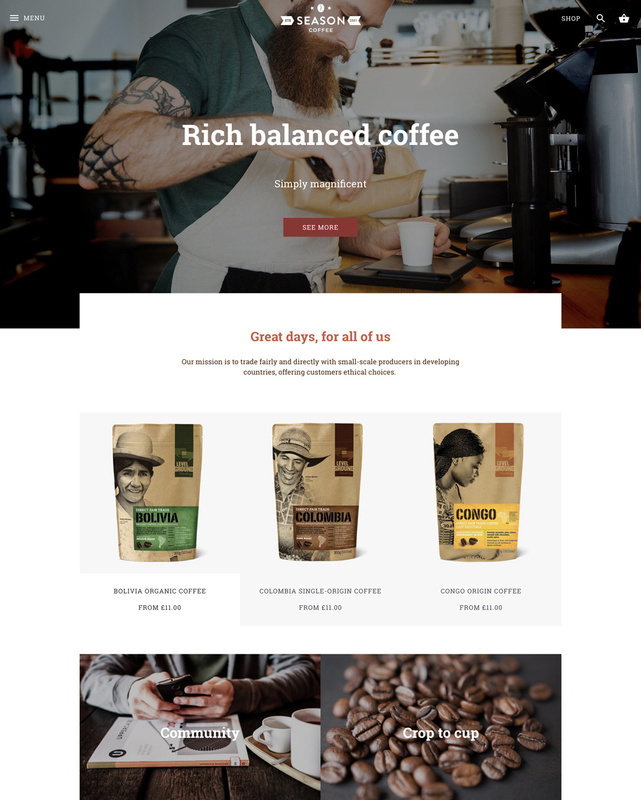 Packed full of features out of the box to maximize the potential of your products. 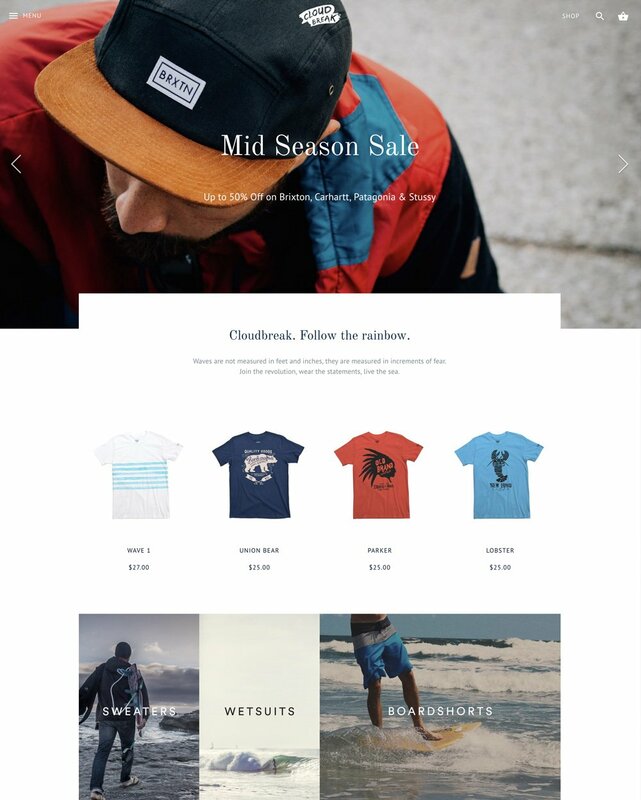 Full width header images including a home page header slideshow, instagram, retina ready graphics, block style product layout and home page gallery.